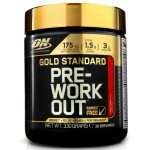 PhD VMX2®, ultra-concentrated, super-strength matrix of performance boosting ingredients, represents the ultimate evolution in pre-workout nutrition. VMX2® is so concentrated, we have even left all colouring out, in order to fit in the necessary active ingredients to ensure an even greater pre-workout experience. 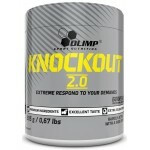 This advanced, high-powered formula contains only serious ingredients such as Beta Alanine, Peptide bonded L-Arginine, the Nitrate-rich Beta Vulgaris, the patented Creatine Monohydrate “Creapure®” and a full strength Vitamin B matrix, to provide you with the catalyst to increase your training intensity, strength and delay fatigue and tiredness. VMX2® contains just 1.2g of carbohydrates per serving and less than 0.5g of added dextrose, to ensure it is suitable for athletes on a low carbohydrate diet seeking only the leanest of muscle gains. Prime your muscles for growth realisation by using VMX2® before every intense exercise session. Who is VMX2® suitable for? TASTE TIP Why not try a VMX2® ice lolly during summer? Add the recommended serving to a lolly mould and leave to freeze before enjoying a refreshing pre workout boost. Use VMX2® 15-30 minutes before intense exercise. 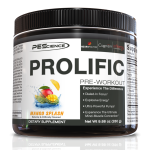 Due to the ultra concentrated formula within this product, use only before intense exercise and do not exceed one serving per day. PhD VMX2® product is suitable for vegetarians. *Vitamins B3, B6 & B12 contribute to a reduction in tiredness and fatigue. 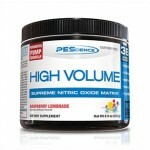 ±Creatine increases physical performance in successive bursts of short term, high intensity exercise. Creapure® Creatine Monohydrate, Beta Alanine, Flavouring, Taurine, Tri-Methyl Glycine, Dextrose Monohydrate, Niacin (Vitamin B3), Beetroot Extract, Caffeine Anhydrous, N-Acetyl L-Tyrosine, L-Histidine, L-Arginine Peptides, American Ginseng, Glucuronolactone, Grapeseed Extract, Potassium Bicarbonate, Sodium Bicarbonate, Vitamin B6, Vitamin B12, Malic Acid, Black Pepper Extract, Sweetener (Sucralose). 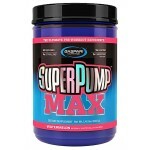 Gaspari SuperPump Max Pre WorkoutWhat Ki..